The above link will take you to the Oklahoma Corporation Commission Public Utilities Complaint Form. If you have a problem with smart meters or the way in which installers are using fraud and intimidation to induce you to accept a smart meter, you should COMPLAIN OFFICIALLY. 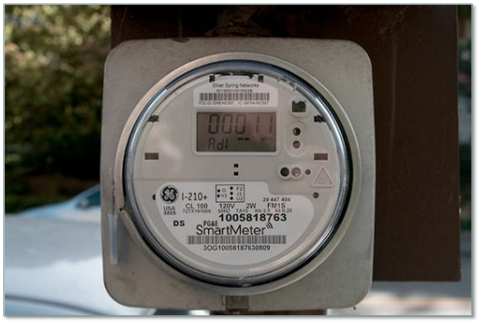 If you have noticed any health effects since your smart meter has been installed, the Corporation Commission should surely hear about that. Health effects attested to in hearings in California are ringing in the ears, clicking noises that seem to originate inside the head (Frey Effect), heart palpitations, unstable blood pressure, anxiety and insomnia. Keep in mind that OG&E’s aggressiveness in trying to induce their customers to accept a smart meter by force and fraud is being primarily driven by $130,000,000.00 of stimulus money. Since stimulus money was largely borrowed from the likes of Communist China and since debt is our legacy to our children, our children and grandchildren are being robbed so that OG&E can get a huge pile of money to invade our privacy and possibly negatively impact our health. Do you see a reason here to file a complaint if OG&E is your electricity provider?